Columbia International University admits students of any race, color, national, and ethnic origin to all the rights, privileges, programs, and activities generally accorded or made available to students at the school. The university does not discriminate on the basis of race, color, national, and ethnic origin in administration of its educational policies, scholarship and loan programs, athletic, and other school-administered programs. The course offerings and requirements of the university are continually under examination and revision. This catalog is not a contract. Individual Columbia International University colleges reserve the right to change curricula and requirements at any time. 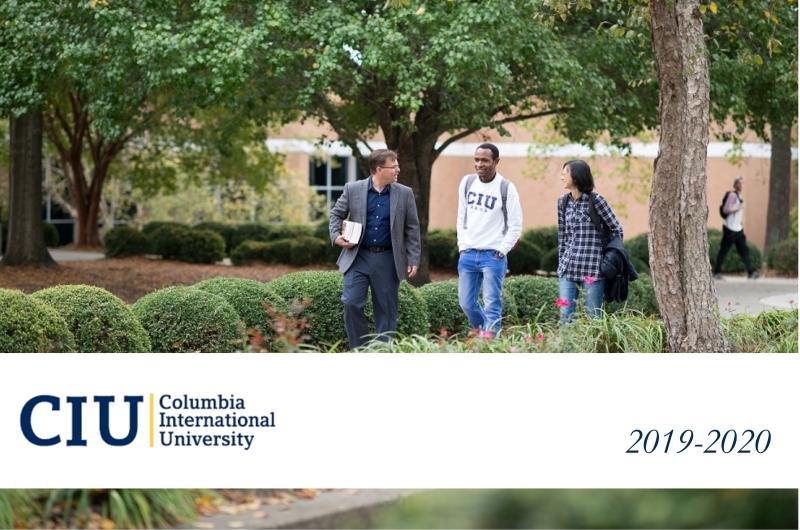 This catalog reflects the academic programs and policies for students entering during the 2019-2020 academic year. While requirements may be changed, this document serves as the institution’s statement of intent and is monitored by accrediting and governmental agencies for compliance and integrity. All catalogs © 2019 Columbia International University. Powered by the Acalog™ Academic Catalog Management System™ (ACMS™).